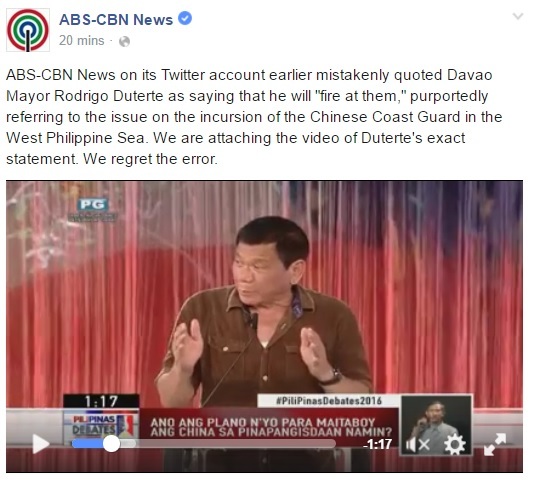 ABS-CBN News on its Twitter account earlier mistakenly quoted Davao Mayor Rodrigo Duterte as saying that he will “fire at them,” purportedly referring to the issue on the incursion of the Chinese Coast Guard in the West Philippine Sea. beste online dating sites on their post in twitter. Many did not believe it was an honest error. According to some netizens it was intentional to destroy Duterte’s image. 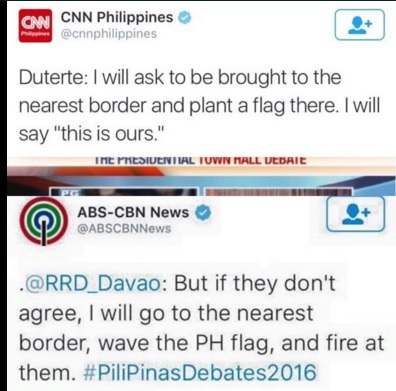 Duterte to Trillanes and Aquino. Why we lost the Scarborough Shoal?